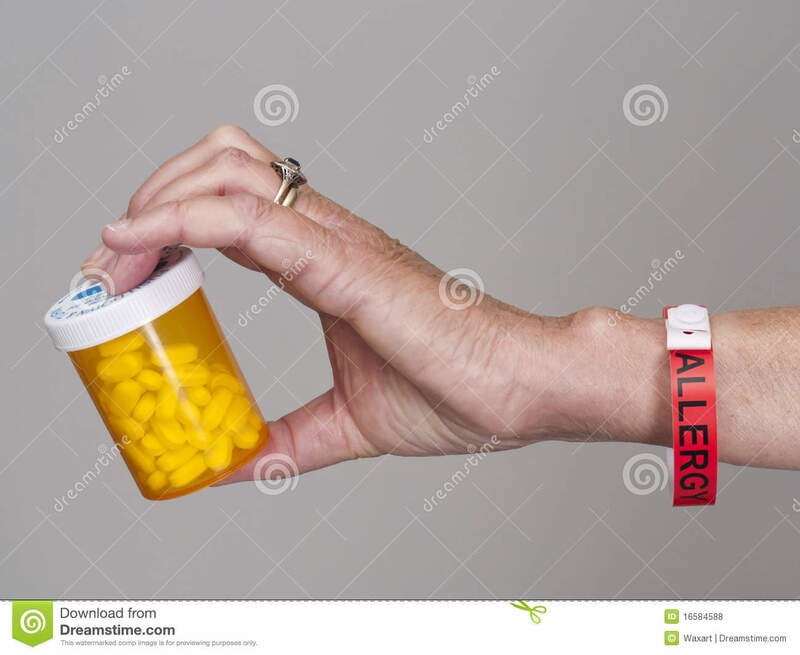 (RxWiki News) Do you have an allergy to penicillin? Research has shown that many people who have been told they have an allergy to penicillin may not have a true allergy after all. Past research has suggested that penicillin allergies may be overreported. As a result, patients with reported penicillin allergies are often given less appropriate, more expensive antibiotics — and other antibiotics that may have more side effects. Approximately 10 percent of patients across the United States report having an allergic reaction to penicillin in their past. However, research suggests that less than 1 percent of the population is truly allergic. Penicillin, a commonly used antibiotic, is given to treat infections of the sinuses, skin, ears and upper respiratory tract. Some common side effects of penicillin include diarrhea, nausea and rashes. The concern with penicillin allergies is anaphylaxis, a life-threatening allergic reaction. Symptoms and signs of anaphylaxis include very low blood pressure, the airways and throat closing up, and swelling of the tongue or throat (causing breathing trouble), stomach pain, diarrhea or vomiting, dizziness, changes in heart rate and loss of consciousness. These signs and symptoms are serious and require immediate medical attention. As with any medication, it is important to note the differences between the expected side effects and a true allergy. And this is no different with the penicillin class. Furthermore, people may outgrow their penicillin allergy, Dr. Leath said. To determine whether you are truly allergic to the penicillin class of antibiotics, there is a skin test. During this skin test, the health care provider will inject a weak solution of various preparations of penicillin. A positive result, indicated by a red bump that may be itchy and raised, means there is a chance you are allergic to penicillin. If skin testing is not an option, other options include a challenge test or desensitization. A challenge test is an option for those who require penicillin, when no other antibiotic is an option, and when the chances of a true allergy are small. In this situation, a health care provider orally administers a very small dose of the antibiotic. If there are no issues, a larger dose is given until there is a sign of an allergic reaction or the full dose is given. If the risk for a true penicillin allergy is high, desensitization is generally recommended. Desensitization involves a health care provider administering a small but gradually increasing dose of penicillin. This process attempts to weaken and eventually overcome a patient's sensitivity to the penicillin allergen. If I'm Allergic to Penicillin, Will I Be Allergic to Other Medications? Penicillin belongs to a group of antibiotics known as beta lactams. Several medications are similar in structure and may result in an allergic reaction. Antibiotics in this group are called cephalosporins and carbapenems. If you have a question about whether you will be allergic to another antibiotic, speak with your health care provider. All of this does not mean you can safely take penicillin after experiencing and reporting an allergic reaction. This is something you should discuss with your health care provider. This is especially true if you don't know where the allergy originated (your parents told you had a reaction when you were a child, for example). Your health care provider can determine whether you do indeed have a true allergy. Your health care provider will also determine the best treatment options for you. If you have a penicillin allergy, always tell all of your health care providers and pharmacies about it. In addition, wearing a bracelet that identifies your allergy is important. In case of an emergency, your providers will know about your allergy. If you have experienced anaphylaxis or another severe reaction, you might have been prescribed epinephrine to carry with you in case of an emergency.